The government also wants PSBs to use new financial technologies to make business transactions quicker and hassle-free. NEW DELHI: State-run banks are mulling a common portal where they could offer competitive and instant personal, housing and other retail loans based on the creditworthiness of the borrower. The government is expected to help the banks set up such a portal which at some later stage can also be used for offering loans to small and micro industries. “This is the next phase of banking where customers can avail of loans quickly and don’t have to run around waiting for approvals,” said a senior financeNSE 1.60 % ministry official. The government first introduced the Pradhan Mantri Jan Dhan Yojana to make formal banking more inclusive and now it is time to scale it up, he added. The initiative comes at a time when state-run banks have lagged way behind their private sector counterparts on expanding their loans portfolio despite a huge outreach. PSBs’ average credit growth in the year through March 2018 was 4.7%, compared with 20.9% for private banks. “PSBs will reverse this trend,” the official said. 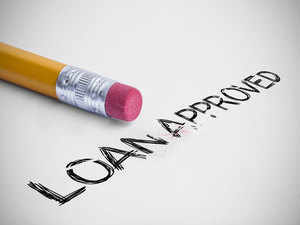 As per the proposal, which is at a nascent stage, a borrower can fill in the required details online based on which he will receive competitive offers from interested lenders on personal loans, home loans or auto loans. “There could be a common checklist which the banks can use to assess the borrower’s creditworthiness,” the official said. The government also wants PSBs to use new financial technologies to make business transactions quicker and hassle-free. Banks have already been directed to decide on loan applications from micro, small and medium enterprises in a fortnight. “Brick-and-mortar branches will progressively become redundant. This portal will have simplified forms and processes to help borrowers get faster approvals on their application,” he added. Global ratings firm Moody’s in a report noted that the Indian government’s recapitalisation plan for 21 state-run banks would help them in meeting regulatory capital needs but would be insufficient to support credit growth. Earlier this year, the government unveiled a reform agenda for PSBs, termed EASE — Enhanced Access and Service Excellence. It focuses on six themes: customer responsiveness, responsible banking, credit off take, PSBs as Udyami Mitra, deepening financial inclusion & digitalisation and developing personnel for brand PSB.